Hummingherd's Armstrong was so much the Total Package he was purchased by astute Canadian breeders, and is now doing some 'STRONG' work north of the border. Lucky for us, we were using Armstrong as our herdsire before he sold, and the resulting offspring here at Peaceful Prairie Ranch are just awesome. Then the Skin Follicle Biopsy came in (Ian Watt) showing results of Density at 81.8/mm, Sec:Primary Ratio 12.4:1, with a Mean Primary Diameter 19.9 SD 2.3, and Mean Secondary at 16.7 with SD 2.1. Armstrong was the top male offspring by Hummingherd's stud Levi's 501 of Hummingherd. Armstrong possessed a solid conformation and a dense fleece full of crimpy character that blew us away. Armstrong surpassed the density and fineness of his sire, who stands on stud row at Little Creek Farm in New York. 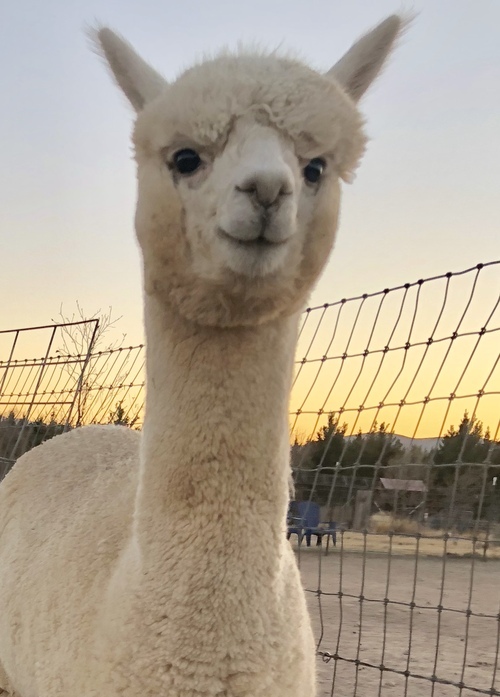 Armstrong did exceptionally well during his short time here attending shows before selling - As a yearling he won first place and his first Color Championship at the SW Regional Alpaca Show under Amanda Vandenbosch, who stated he took it hands down over others. At the larger 2014 GWAS show, he took first place over some great competition from well known farms. Judge Peter Kennedy praised Armstrong's fineness and consistency over the entire fleece. 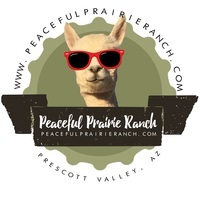 Please take a look at Armstrong's offspring here at Peaceful Prairie Ranch: Moondust, The Senator, Loophole and Audrina Rose. These genetics are top notch and will certainly serve any top breeding program very well long-term. Champion Offspring now POD Winner! Now capturing Produce of Dam awards, we are so proud of this foundation female here at PPR. Keep your eye on this guy! 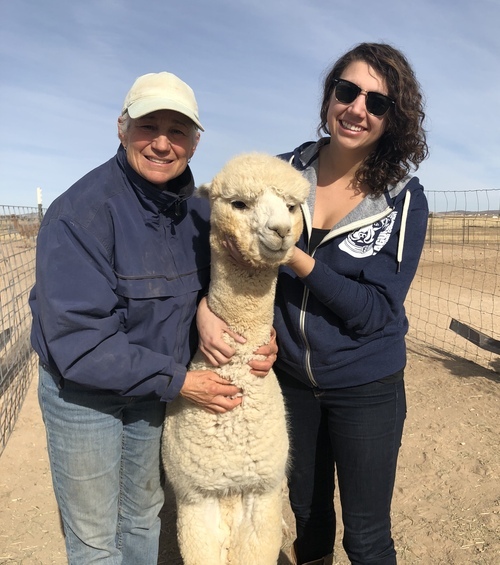 He is here to set the example and be a leader.... With the genetics he packs, we have no doubt he will be a Trait Leader at least in the alpaca industry. His dam, Hummingherd's Tickled Pink last gave us Rafael, who has done remarkably well in shows, and had a 10lb fleece clip as a yearling. 'Pink' consistently grows a good long stapled fleece, and her offspring are doing the same. 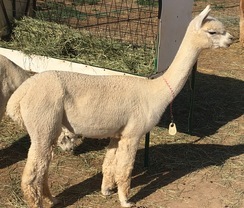 The Senator had a 5-6 inch staple this year on his first full shearing (and he WAS also cria trimmed, or it would have been longer!). 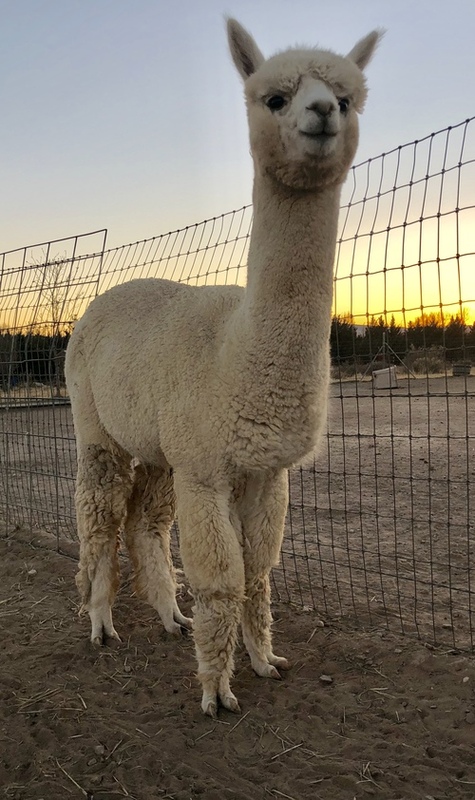 The Senators Dam, Tickled Pink, is by Aspen Ridge's Augusto's Cochiti who is a stud near and dear to our hearts for the amazing legacy he has created already here. The Senator's sire, Hummingherd Armstrong left the U.S. for Canada (who knows ..... was it for political reasons?) 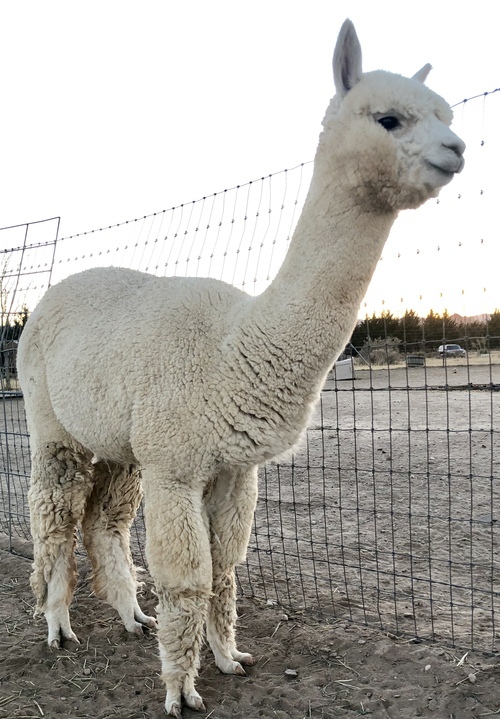 but luckily, not before we had bred for a few cria like The Senator (and Moondust and Loophole). The astute Canadian breeders that got Armstrong are thrilled with the offspring he is giving them North of the border as well. 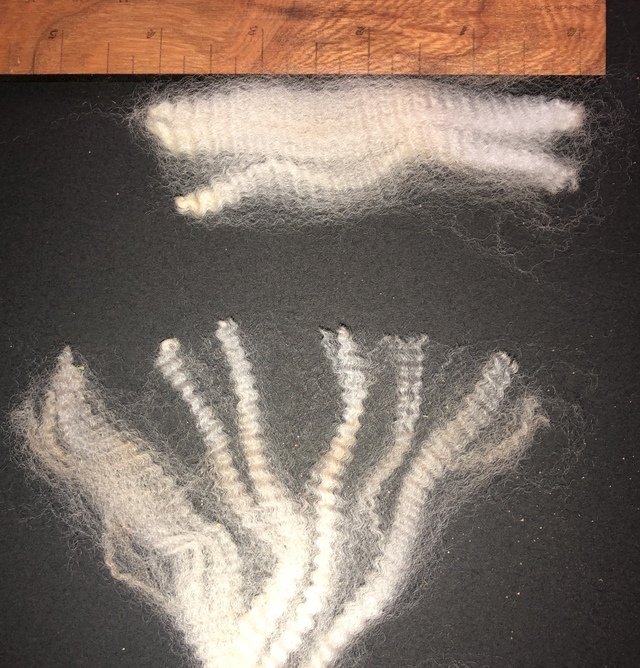 This lineage has consistently kept lasting fineness and super dense fleeces that carry well over the blanket and display the uniformity that is so important now. Please read The Senators 'sire' listing above, as you can see the fleece stats and Follicle Density information there - we don't often see Follicle Density's at 81.8 (by Ian Watt), but The Senators sire was DENSE. We expect those great traits in The Senator as well as he grows into adulthood.